Chances are you know someone with a persimmon tree in their front yard. Put the oft-forgotten fruit to good use in this not too sweet not too spicy concoction. Combine all ingredients in a cocktail shaker filled with ice and shake until chilled. Serve up and garnish with a lime wedge. Peel and slice 6 ripe Fuyu or Hachiya persimmons and combine in a pot with 2 quarts water, 10 whole allspice berries and 2 cups sugar. Bring to a boil then reduce over medium heat for 30 minutes stirring occasionally. Remove from heat and let cool for 1 hour before fine straining into a separate container. Classic fall flavors like cinnamon, apple and cranberry work perfectly with the savory notes in Venus Aquavit. Add all ingredients to a shaker filled with ice and shake until chilled. Serve up and garnish with a cranberry. Combine 4 cups apple juice, 2 cups sugar and 4 cinnamon sticks in a saucepan and bring to a boil. Remove from heat and let cool with cinnamon sticks inside. Get 'em while they're ripe! Here in Northern California plums are in season May to November, so take advantage of these sweet juicy fruits with this plum & mint cocktail. Muddle mint, plum syrup and lemon juice in a shaker. Fill with ice, add gin and shake until chilled. Pour into a glass with ice and top with soda. Garnish with a mint leaf. Combine equal parts chopped plums and sugar and macerate together. Let sit for a few hours or overnight. Add 1 part water, stir well or shake until sugar is fully dissolved, then strain. More or less water can be added to desired sweetness/thickness. Combine equal parts sugar and water in a saucepan over medium high heat. Add chopped plums and let simmer until sugar is completely dissolved. Strain and allow to cool. Tart, fresh and a little sweet, the Wayward Sour is everything you're looking for on a warm summer afternoon. Combine all ingredients in a shaker and dry shake for 10 seconds. Add ice and shake for additional 10 to 20 seconds. Pour over ice in a rocks glass & garnish with a cherry. Gin, honey & lemon. Simple yet delicious, and just in time for spring. Combine all ingredients in a mixing glass filled with ice. Stir until chilled and strain into glass. Garnish with lemon twist or lavender sprig. Combine equal parts honey and warm water. Stir until honey is dissolved. The savory notes in Venus Aquavit work perfectly with the bittersweetness of the Cynar and amaro. Shake or stir and serve up. Garnish with a lemon twist. Pomegranate pairs nicely with the orange and oak in Gin Blend No. 02, and is the perfect complement to the flavors of a traditional Thanksgiving dinner. Good ingredients are important here, so choose quality pomegranate juice and fresh squeeze your orange juice if possible. Play around with measurements too depending on how sweet/tart/boozy you prefer your cocktails. Enjoy! Combine all ingredients except soda water in a punch bowl or pitcher and stir well. Top with soda water and stir gently. Serve over ice with an orange peel and a few pomegranate arils. Combine sugar and pomegranate juice in a saucepan over medium heat. Stir until sugar is dissolved and add lemon juice. Bring to a boil, then reduce heat and let simmer uncovered until the syrup has thickened, about 30-40 minutes. The syrup will become thicker when cooled. Store in an airtight container in the refrigerator. Celebrate Halloween with this frothy concoction. Add gin to a pint or rocks glass and top with stout. Express the oils from an orange twist over the glass and drop in as a garnish. This Gin Blend No. 02 cocktail is perfect for the first day of Fall with notes of pumpkin, apple and ginger. Combine all ingredients in a cocktail shaker with ice and shake until chilled. Strain into a coupe and garnish with a bay leaf. Peel ginger & grate with a microplane. Combine all ingredients and place in an airtight container in the fridge for 12-24 hours (to make right away, combine all ingredients in a powerful blender with 1/2 c water and strain). Strain or press through a cheesecloth to collect liquid, discard solids. Store refrigerated. The bijou, meaning 'jewel' in French, is an herbaceous boozy cocktail that dates back to 1900. This recipe is an updated version that uses barrel rested Gin Blend No. 02. Add all ingredients to a mixing glass filled with ice. Stir until chilled and strain into a coupe. Serve up with an orange twist. Start your weekend with a Bloody Mary made with Aquavit Blend No. 01. Notes of caraway and anise will take this brunch staple to a whole new level. Start with your favorite Bloody Mary recipe or mix, using 2 ounces of Venus Aquavit Blend No. 01 instead of vodka. We garnished with celery stock, green olives, pickled green beans, a slice of lemon and an Old Bay rim. The Martinez is traditionally made with Old Tom Gin, but Venus Gin Blend No. 02 pairs beautifully with the vermouth and maraschino. Add all ingredients to a mixing glass filled with ice and stir until chilled. Strain into a coupe and garnish with an orange twist or Luxardo cherry. The most refreshing summer margarita since the margarita. Combine all ingredients in a cocktail shaker with ice. Shake and strain into a margarita glass or rocks glass with ice. Garnish with lime wheel or wedge. Sweet and slightly bitter, stay cool on a warm afternoon with this refreshing El Ladrón cocktail. Shake & serve over ice. Garnish with an orange slice. Enjoy! Shake in a cocktail shaker filled with ice and strain into a cocktail glass. Garnish with a lime wedge. Experiment with the amount of sage in your simple syrup to make this cocktail more or less earthy. Muddle blackberries in a cocktail shaker. Add ice, gin, lime juice, lemon juice and simple syrup and shake. Strain into a glass and serve up with a sage leaf garnish. * In a small saucepan, bring 1 cup water, 1 cup sugar and 8 sage leaves to a gentle boil. Reduce heat and simmer until sugar dissolves, stirring frequently. Remove from heat and allow to cool before straining into a sealed container. Store refrigerated. 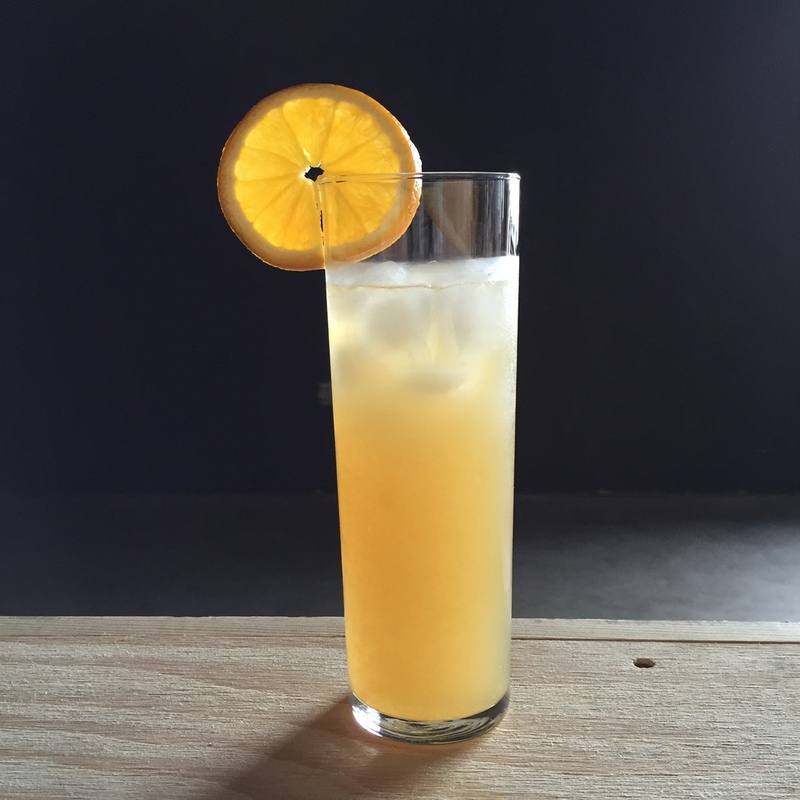 This traditional Mexican cocktail is updated with orange juice, bitters and El Ladrón Blanco Blue Agave Spirit. Fill a cocktail shaker with ice and shake until chilled. Serve in a glass with a salted rim.